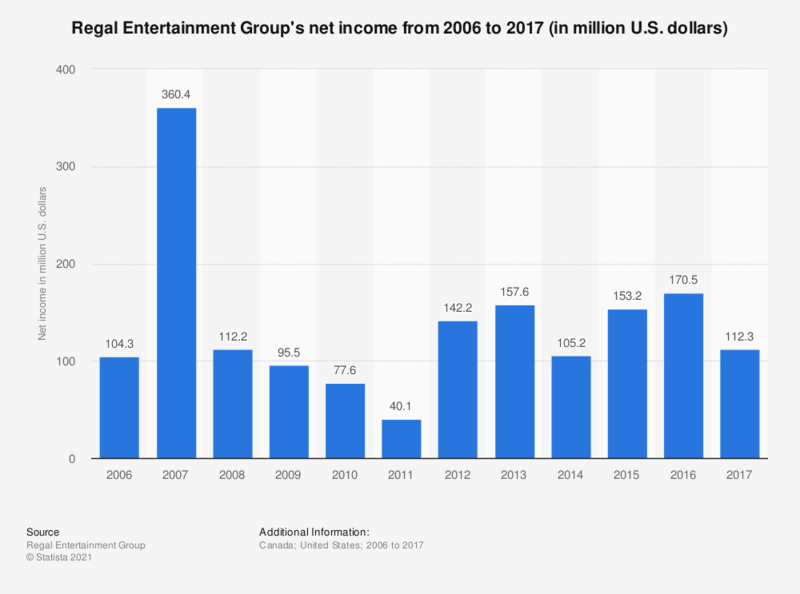 This statistic contains income data for the Regal Entertainment Group from 2006 to 2017. In 2017, REG reported a net profit of 112.3 million U.S dollars. Figures prior to 2015 come from Regal Entertainment Group's earlier financial releases.